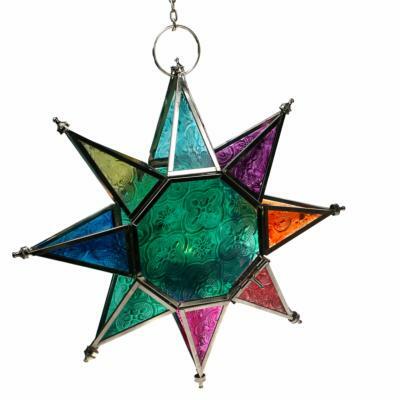 Star shaped metal framed tea-light lantern with painted glass. Opens on a hinge and is held shut with sliding pin. Hangs with metal hook on a chain..
For use with t-lights only, t-light not included.